The 2013 Toyota Tundra in its TRD Offroad package is a true full-sized pickup truck with a beefy feel despite its soft ride. It’s capable, powerful, and sturdy. Everything you could want in a pickup truck. Back in August, our friend and contributor Tim Esterdahl reviewed the 2013 Toyota Tundra and enjoyed it so much, he bought one. 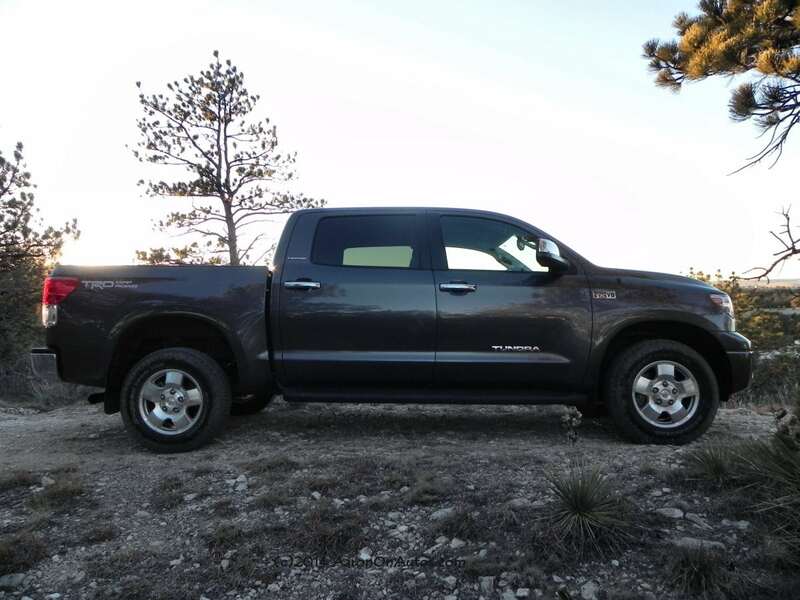 Although the 2013 Tundra has some great options that aren’t available in the competition, it also feels somewhat dated, making us look forward to trying the all-new 2014 model year offering for the truck. What the 2013 Toyota Tundra is, though, is a tough, capable, and nice-looking pickup truck with everything that most truck buyers would want. In our test package, which included a four-by-four option and the large CrewMax cab, we enjoyed nearly everything about the truck when taken with that perspective. 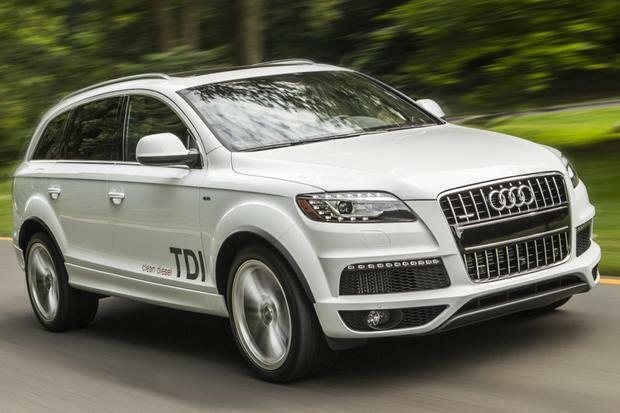 As an everyday driver, though, it may not stack up to some of the competition. Pickup trucks are made to work. At least, they should be. Sometimes, manufacturers ignore this and offer some very posh trim levels to make the Cushy (wannabe) Cowboy crowd happy. 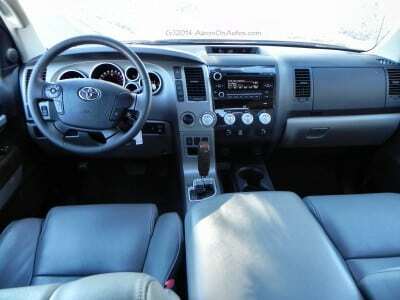 Compared to some of those upper trim levels in those Cowboy Cadillacs, though, Toyota’s top trim is downright homely. 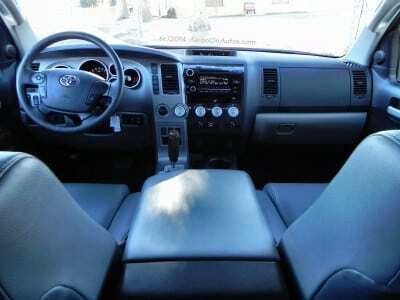 Yet from a working man’s perspective, it has everything you could ask for and plenty of comfort to get the job done. During our week in the 2013 Tundra, we loaded some couches and headed to the landfill, drove through a lot of harsh weather, pulled a car out of the ditch, went offroad, and carted the family around town. 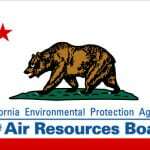 In all, our only beef was the price of gas (an inherent problem for all working pickups). The Tundra proved itself to be powerful, steady, and easy to drive while having plenty of capability. 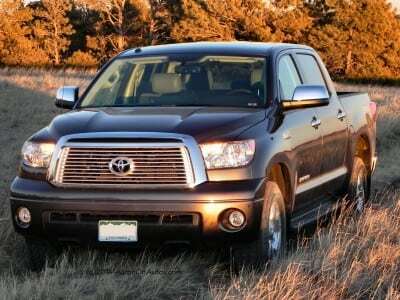 The competition would be hard pressed to find weakness in Toyota’s biggest truck. The big CrewMax cabin has room for up to six, though ours had the pilot buckets rather than a front bench, reducing that to five. With two child safety seats in the rear, there was still room for a full-sized adult to sit between them and my wife’s only complaint about the interior was that she had to climb so high to get inside (she’s five-foot nothin’). The doors have a wide swing to accommodate easy entry and egress, as well as the lifting of toddlers into their chairs. Head, shoulder, leg, and every other room is excellent as well. 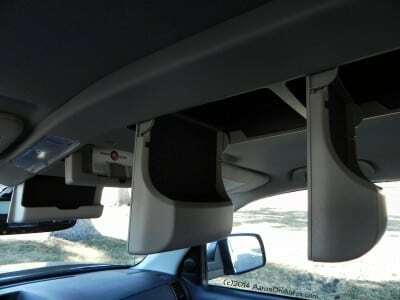 The infotainment system suffers from a particularly bad case of the Toyotas, however, making even the brand’s normally clunky system become even more so. It took a solid twenty minutes to navigate the horrible “voice actuated” system to connect my smart phone via Bluetooth. Once connected, of course, things worked fine, but it was a painful process to get there. Owners of pickups, especially those who use them as workhorses, know that the interior of a good truck must have two things: plenty of storage space and easy-clean flooring. 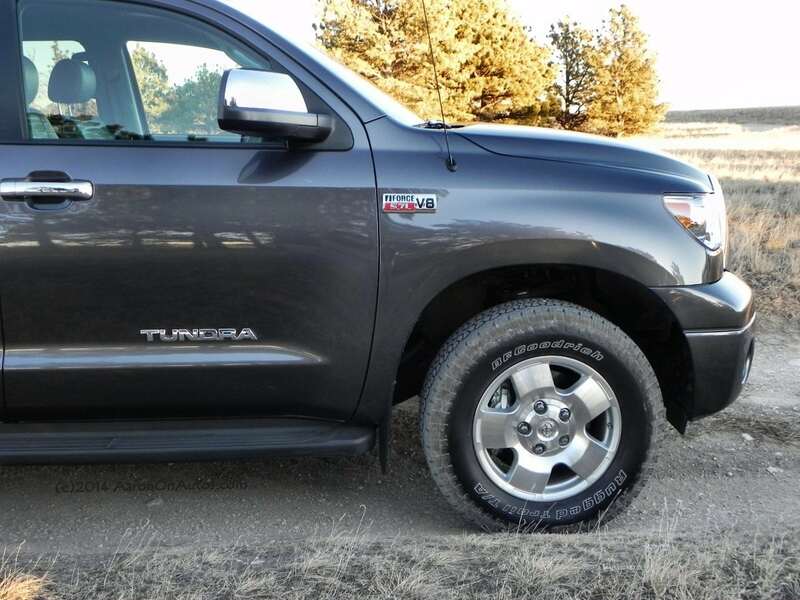 The Tundra has both. In fact, if you wear glasses or love sunglasses, the Tundra is definitely your truck as it has no less than five storage compartments for glasses throughout (three of them shown here). 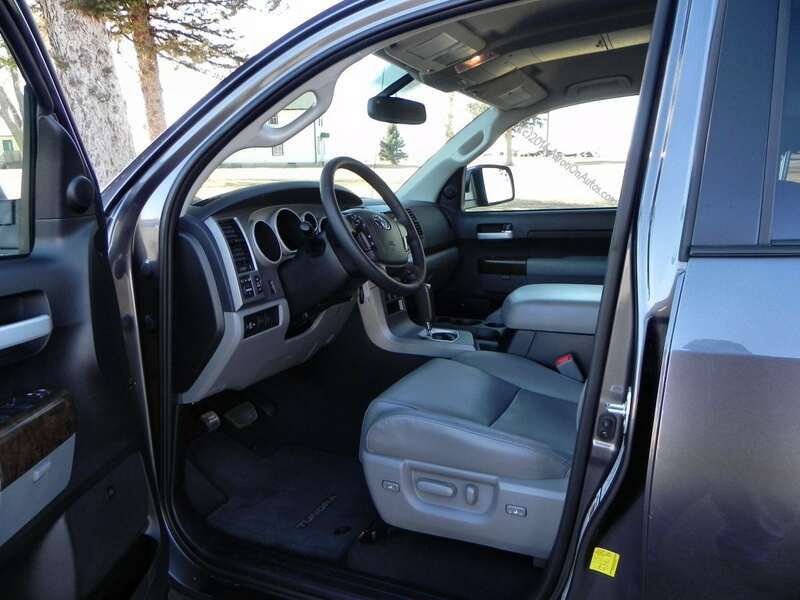 All in all, seating is very comfortable, ergonomics are good for the driver, and no one in this truck will complain about being cramped no matter where they sit in this CrewMax cab. 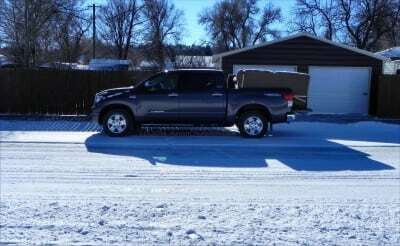 In town, the Tundra drives capably and honestly with no fuss. 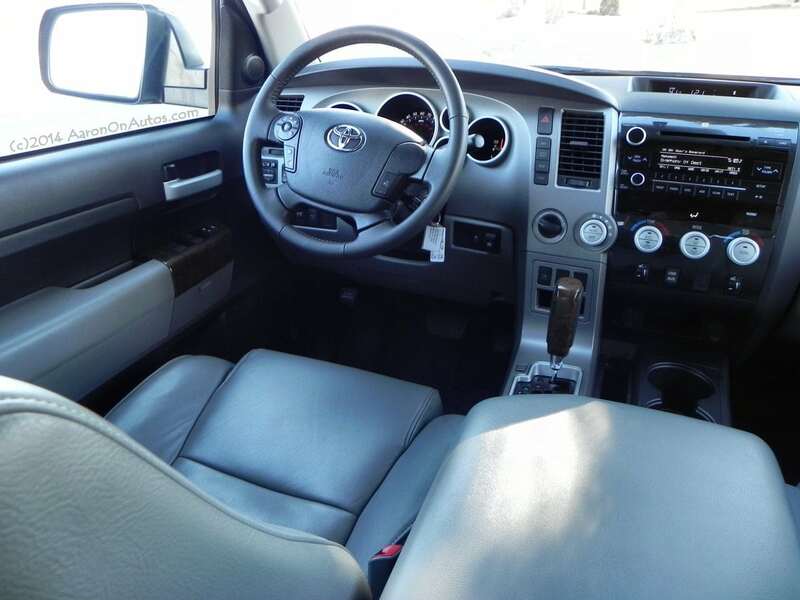 It is as maneuverable as a full-sized truck can be, has good visibility for the driver, and the ride is comfortable at speed. 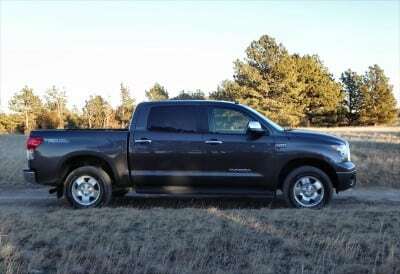 On the highway, the 2013 Toyota Tundra is comfortable, but not quite as smooth as the Ram 1500 with its coil springs under the bed. 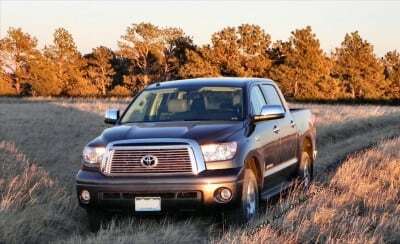 Still, the Tundra is easily on par with the Ford and General Motors offerings in this segment. 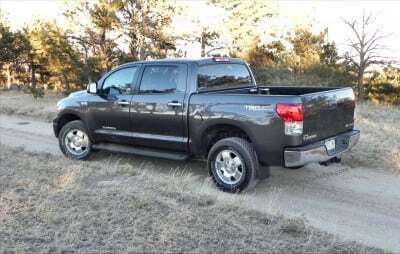 The 2013 Tundra we tested had the TRD Offroad package and had great capability off the pavement. Although the weather didn’t permit a lot of dirt and mud testing during our time with the truck, we did manage to test it on some of our favorite trails where it easily matched other well-built offroad machines we’ve taken there. It definitely trounced its brother, the 4Runner. 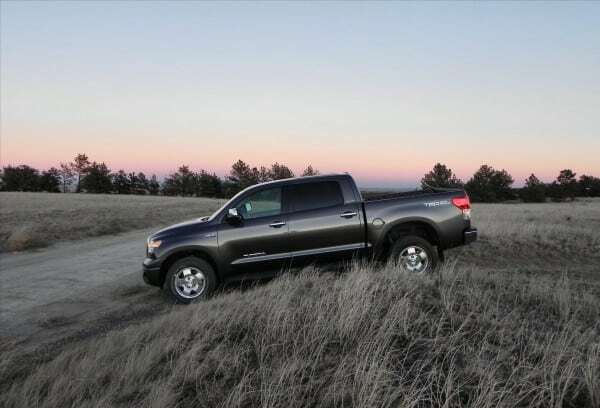 The powerful V8 engine under the Tundra’s hood coupled with the well-tuned offroad suspension and great traction-seeking 4WD gave it a sure-footed appeal. 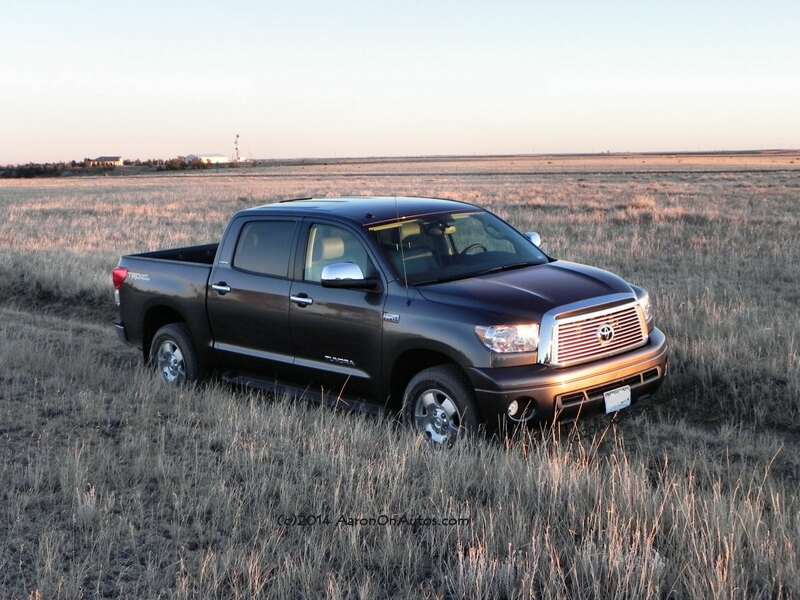 Dirt roads and muddy fields are nothing to the 2013 Tundra while inclines with large divots were easily navigated. Competition for the 2013 Toyota Tundra include most of the major makers of full-sized pickup trucks. 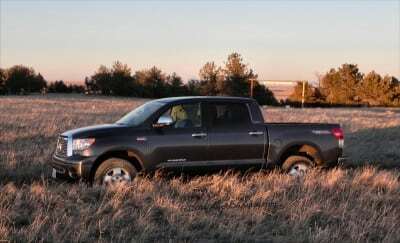 The Ford F-150 is the best-selling truck in this segment while the Chevrolet Silverado and Ram 1500 are also good contenders. These trucks all have different approaches to specific areas of pickup truck use, with some aiming for comfort, others for capability, etc. The F-150 seeks to balance all of those things and bests the Tundra in comfort, as does the Ram 1500. None best the Tundra offorad, however, and all offer about the same towing and cargo capability. Fuel efficiency for each of these trucks is roughly the same, though the Tundra is on the lower end of the competitive scale. Very capable and nicely rounded. The 2013 Tundra has a solid feel and workingman’s appeal to it. 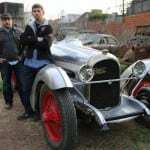 Not as fuel-efficient as some rivals. 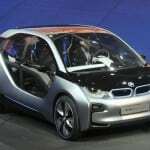 Interior refinement is dated compared to the competition. 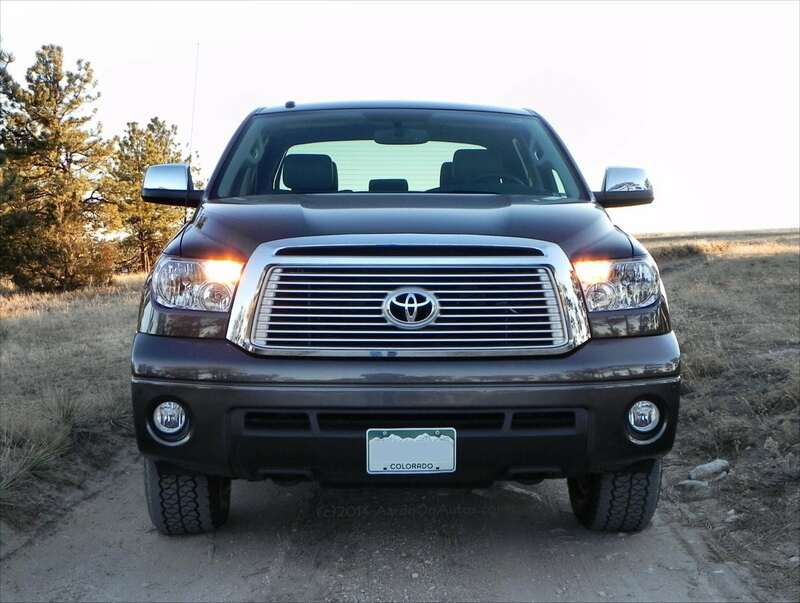 All in all, the 2013 Toyota Tundra is a solid offering in the full-sized pickup truck market. It may not do some things as well as the competition, but it does all things well. Our week-long test drive was courtesy of Toyota as a manufacturer’s press loan. 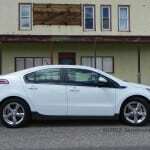 The week took us through 197 miles of town, city, highway and freeway driving as well as off-road and off-track excursion. We tested it with cargo and in weather that was both cooperative and inclement. Update: Steam Whistle’s electric Hot Rod also carries beer with pictures! Of course, I HAVE to comment! 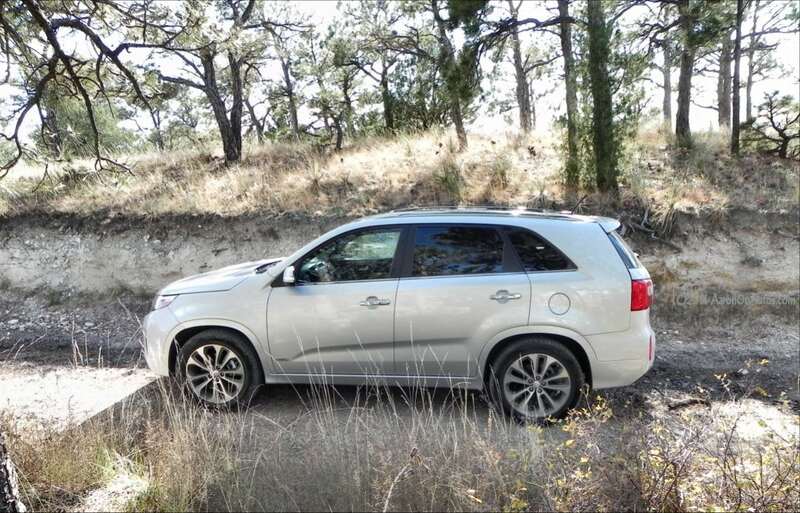 🙂 Good review, I’ll be curious as to your thoughts on the 2014 model. 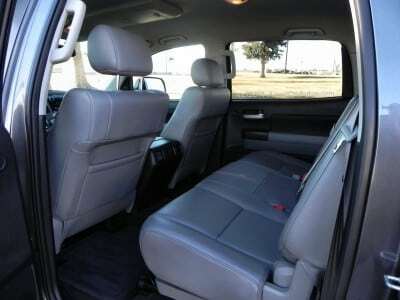 While the interior is really updated, they removed the slide and recline rear seats. Sounds like, from your review, this wasn’t tested. With the car seats it is easy to miss, however, I bought the truck thinking long-term and road trips for the kids (they could recline the seats and sleep). I bought it after driving the 2014 and I am still to this day mixed. 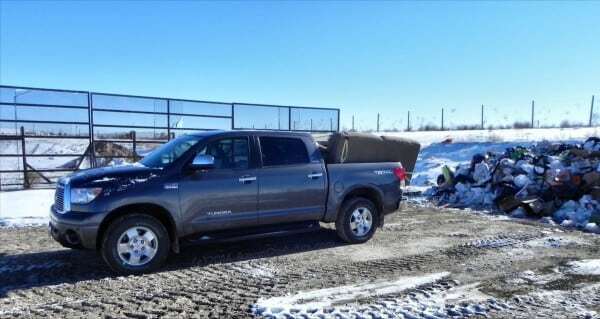 The 2014 has so many improvements that make it a better truck, yet the lack of slide and recline was a BIG factor in my buying decision. Like I said, good review. I tried them, but wasn’t all that impressed, honestly. It’s nice and all, but that seems like the kind of thing that would only get used rarely, if at all. 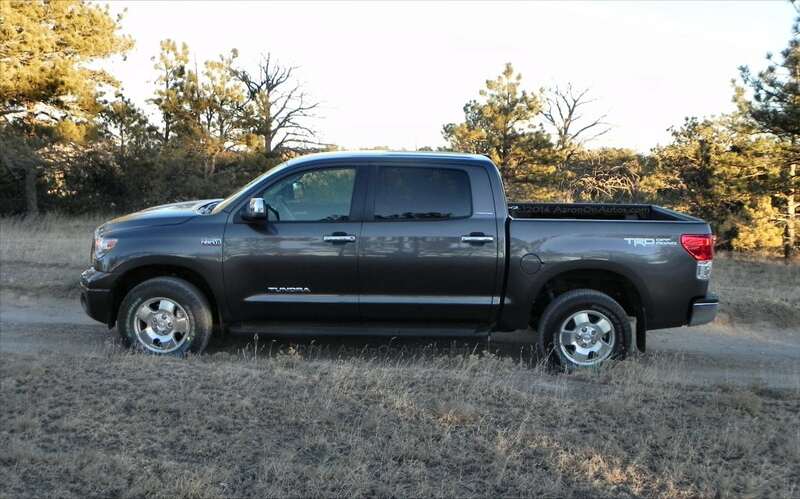 I see nothing in this review that shows this Toyota Tundra TRD was a chick magnet. Care to explain Tim?